The Royal Baby is due imminently so the team at This Morning and I put together an array of tot tech fit for not only Kate and William’s new arrival – but your little princes and princesses too. 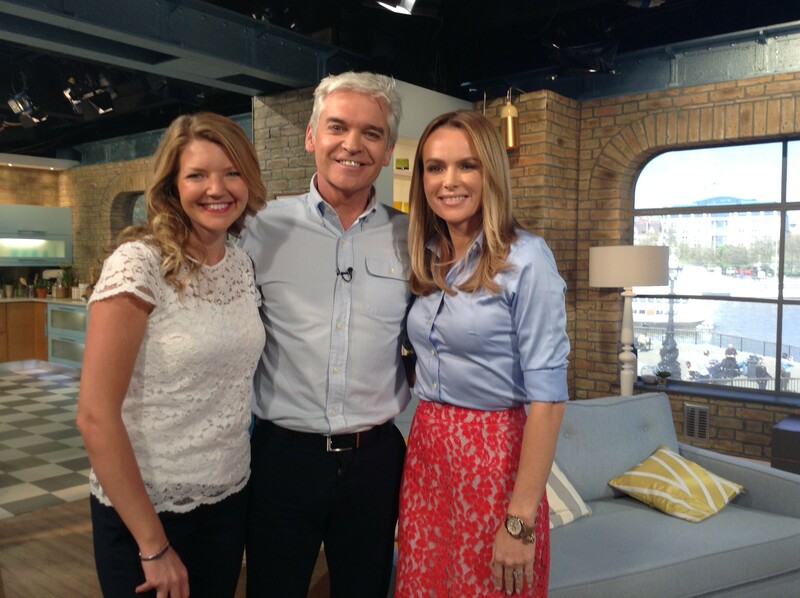 On today’s show I talked the gorgeous Amanda Holden and Phillip Schofield through some of the latest tech available for little ones and new parents. Included was: the Carkoon Car Seat – a rear-facing car seat that opens out a tough, fire-resistant, protective cocoon-like shell around a baby in the case of a vehicle collision; the Iiamo Go – a self-warming baby bottle that requires neither electricity nor cables to warm milk – just salt and water within a heating cartridge that, once shaken, will safely warm milk to 37 degrees in 4 minutes; the Pacif-I Smart Dummy – a temperature sensing dummy that communicates its readings to a parent or carer’s smartphone/tablet via a free app and notifies you if your little one starts wandering outside of your preferred parameter; the Mimo Onesie – a wearable baby monitor that has respiration sensors built-in – communicating your baby’s breathing, orientation, state of sleep and skin temperature to a parent or carer’s app; and finally the Origami Stroller – a robotic buggy that power closes and opens at the touch of a button, and even charges your phone as you stroll. We had some fantastic apps that my mummy friends swear by that we ran out of time to talk about. The apps were: the Baby Shusher – a repetitive “shushing” sound that plays to your baby for minutes or even hours if you prefer. The app has a ‘listen’ function so it adjusts the volume of the “shush” depending on how loud, if at all, your baby is crying. You can also record your own “shush”. Another app favourite amongst the mums is the White Noise app – you can choose from 20 different soothing white noise sounds including a hair dryer, air conditioning, womb sounds and even a grandfather clock. The third and final app was the Toilet Finder – a free app that locates your nearest toilet, plots it on the map, gives it a rating and also notifies you if special facilities, such as disabled access, are available. My nephew Tom modelled the Pacif-I and the Mimo Onesie for us and looked gorgeous. Catch the feature on the link below. 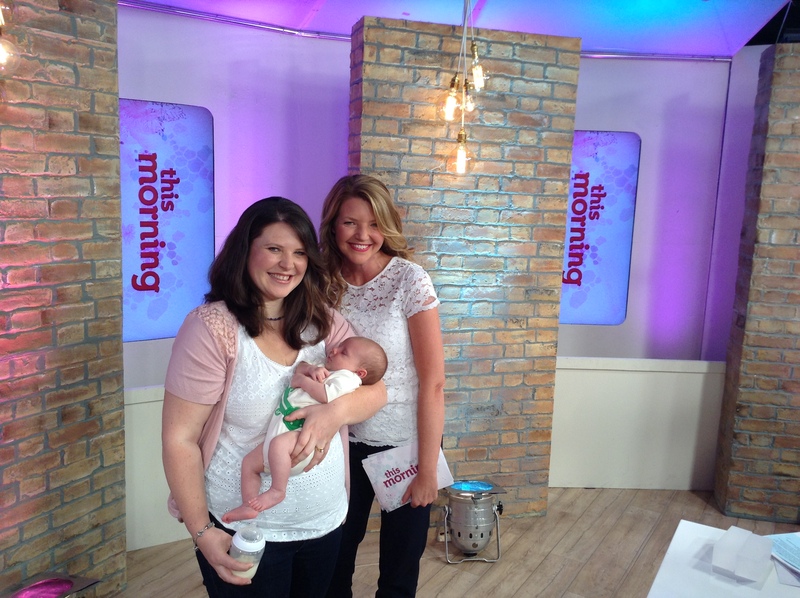 I hope new mums, dads and carers – royal or not – enjoy this overview of top tech for tots.